Wylie Freeman Dives, 832636 was from Elgin, Albert County, New Brunswick and was born December 5, 1895. He was the son of Roland Dives, of Meadow Elgin, Albert Co., New Brunswick, Canada.. 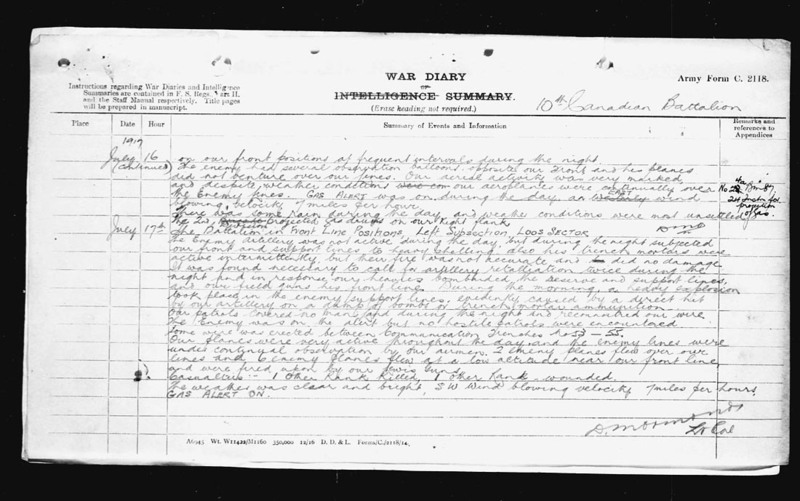 He enlisted with the 145th Battalion on May 10, 1916. He was listed as Killed in Action at while fighting with the 10th Battalion on July 16, 1917 at Loos, france. He is buried at the Maroc British Cemetery, Nord, France. He is Commemorated on Page 228 of the First World War Book of Remembrance. 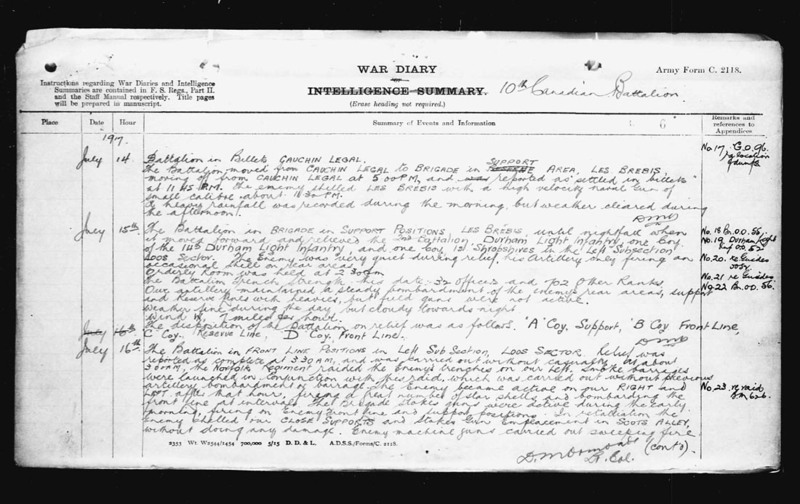 The 10th Battalion's War Diary for July 16, 1917 can be found here and here. Please if you have any photos of Wylie send them to us.